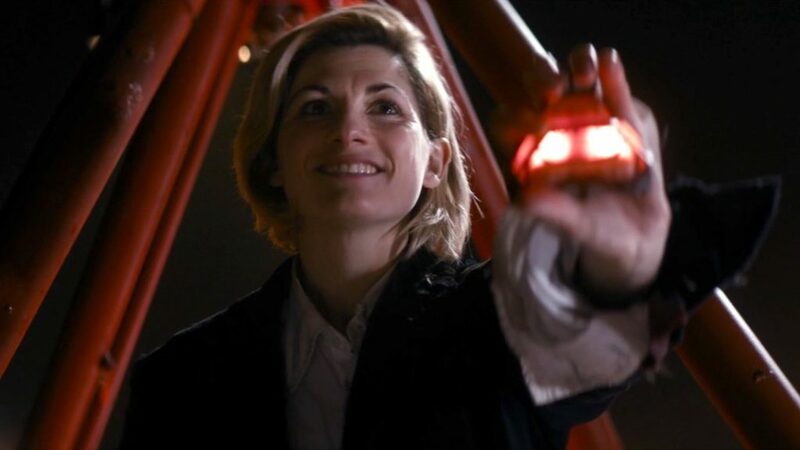 Because there is no detail of Doctor Who that does not invite—nay, demand—obsessive speculation, this ring has been the subject of some discussion on the part of fans, and of various explanations on the part of the show’s creators. It has been suggested that the ring is a nod to the First Doctor’s signet ring, which makes a certain sense: the Twelfth Doctor is, after all, more like William Hartnell’s Doctor—in countenance and temperament—than perhaps any of his predecessors. The ring’s designers have said that the Doctor’s ring “reminds him of all the wars he has won, but also all the lives he has taken.” Peter Capaldi himself has provided the pragmatic (but awfully sweet) explanation that this ring was specially designed to sit over his real wedding ring, so he doesn’t have to remove it during filming. I’m not an obsessive, conspiracy-minded sort of fan myself, so I’m willing to accept any and all of these explanations without worrying about it too much. (Really, not everything has to mean something.) But I found myself focusing on the ring this week because it reminded me that the Doctor is, after all, a married man. But I wonder now if Moffat will ever be finished with River Song, until he himself is finished with Doctor Who. Alex Kingston does not appear in Moffat’s “Extremis,” but River Song’s ghost is all over this episode, and we now realize her fingerprints are all over Season Ten, Moffat’s own swan song. 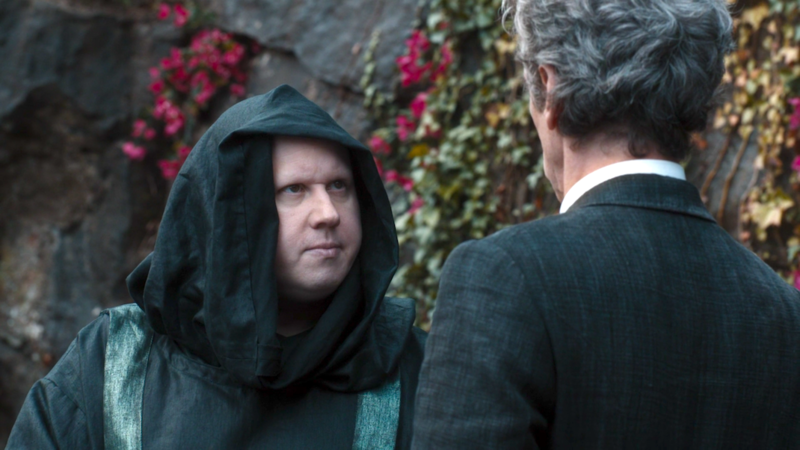 Part of my not being an obsessive conspiracy theorist is that I don’t waste a lot of time trying to predict where Moffat’s plots are going in any given season—I’m hardly ever right when I do—but I’ll recklessly go on the record here: with a handful of episodes left in Moffat’s reign, it will not surprise me if we have not seen the last of River Song. So it is River Song who gives this episode its title, reminding the Doctor (and us) that heroism is what reveals itself after all hope has been lost. Character, as the old line says, is what you are in the dark, and fear is just a superpower. 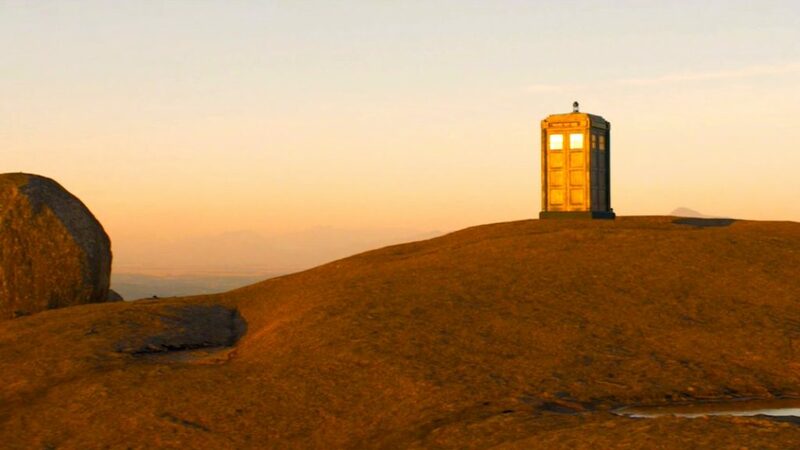 It is a reminder of the Doctor’s own creed: to never be cruel or cowardly, to never give up, to never give in. River: Because I want you to know that if this is the last night, I expect you to find a way round it. Doctor: Not everything can be avoided. Not forever. River: But you’re you. There’s always a loophole. You wait until the last minute and then you spring it on me. Doctor: Every night is the last night for something. Every Christmas is the last Christmas. River: But you will. You’ll wait until I’ve given up hope. All will be lost, and you’ll do that smug little smile and then you’ll save the day. You always do. Doctor: No, I don’t. Not always. Times end, River, because they have to. Because there’s no such thing as happy ever after. It’s just a lie we tell ourselves because the truth is so hard. River: No, Doctor, you’re wrong. Happy ever after doesn’t mean forever. It just means time. A little time. But that’s not the sort of thing you could ever understand, is it? 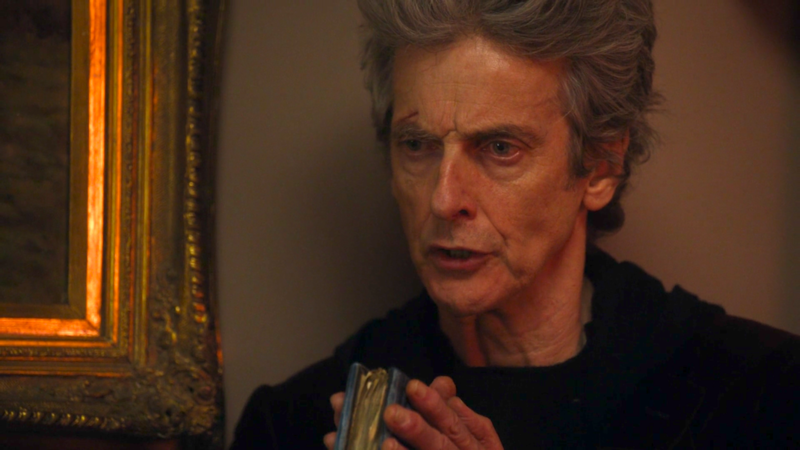 I am dwelling on all of this now because it’s becoming clear that the Doctor’s relationship with death is a theme of Capaldi and Moffat’s final season. “Death is an increasing problem,” says Rafando (Ivanno Jeremiah), the lead executioner, in the words that open this episode. “Listen, all we’ve got left is a good death,” the Doctor said last week, in what sounded like a very uncharacteristic speech. “This is the moment you’ve been waiting for since the day you were born..Die well! It’s the finish line! It’s winning!” Now, as the Doctor is seriously injured (blind) for perhaps the first time in his existence, and approaching his own “death” (regeneration), the question of death looms large. It is the final adversary, the ultimate moment of extremis, the final test of virtue. What, with death approaching, does winning look like? In Catholicism, “extremis” is used to describe the condition a person is in at the point of death, “when all positive ecclesiastical laws are subordinated to the primary responsibility of preparing the one dying for entrance into eternity.” It’s the moment of last-rites, an emergency condition in which nothing else the dying person has done in their life matters: it’s a last chance to scrub your conscience, stick the landing, and get your soul right with God. It’s the finish line. Do it correctly, and it’s winning death. What scares them both is the revelation that everything is just a computer simulation designed by a scary alien race—I guess we’re calling them “the Monks”—to better understand the Earth in preparation for invasion. Nothing is real. No one is real. “Those deaths, they weren’t suicide,” the Doctor says. “Those were people escaping.” After learning this truth, these people—like the crew of the Chasm Forge last week—had nothing left to hope for but a good death. This is all good stuff, and it’s Moffat working near the top of his game. But here’s the thing, and the real reason I began this post talking about River Song: doesn’t all of this—the spooky library, the creeping awareness that the world isn’t real, the discovery that everything is a computer simulation—sound familiar? Under other circumstances, we might be tempted to write off this story’s similarities to “Silence in the Library”/”Forest of the Dead” as nothing more than Moffat recycling some of his old ideas. 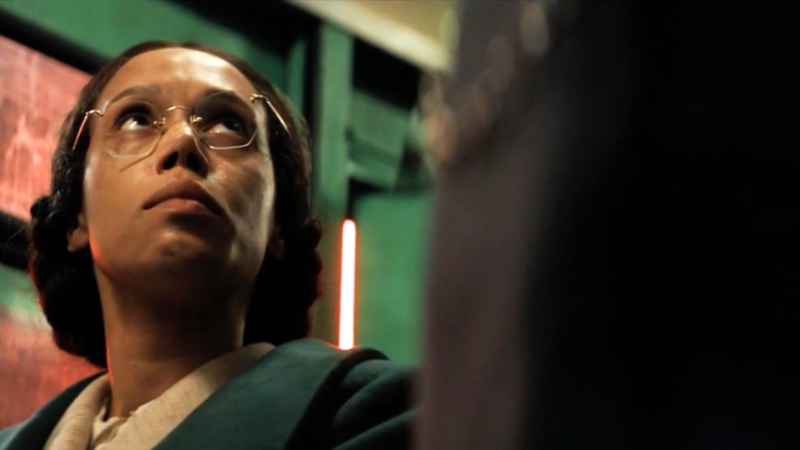 But the heavy emphasis on River Song, and the reminder that the Doctor just left her with the sonic-screwdriver she needed to “survive” that story—leads us to consider whether there’s a deeper meaning to all of this, or at least a hint of what’s to come. But at the end of “Forest,” the Doctor arranges for River Song to be uploaded into that same simulation, where she will presumably exist—for all of eternity—in a virtual world. “The Doctor fixed the data core: this is a good place now,” CAL tells her, and delivers her some friends in the form of her other crewmates killed by the Vashta Narada. This, we are to presume, is a happy ending: the Doctor had given River Song a perfect digital afterlife—a computerized Heaven—where she can be happy forever. But isn’t this troubling? (It’s an idea, after all, that Moffat himself recycled to sinister effect in the wretched “Death in Heaven” finale of Season Eight.) Could River really be happy living for all eternity in a digital simulacrum, presumably without adventure, and with people—let’s face it—that she barely knows? The simulation the Monks create in “Extremis” is, apparently, infinitely more detailed and convincing than the one River Song is condemned to—all but indistinguishable from the real world—and it still drove everyone who learned about it to kill themselves and go to “Hell.” Doesn’t that recognition—coming immediately after the Doctor fulfilled the plan to install River on a hard-drive—demand a revisiting of River Song’s fate now? Isn’t she—far from being in a digital “Heaven”—actually in a form of Hell? So what, I find myself wondering this week, will the ending of the Moffat era look like? 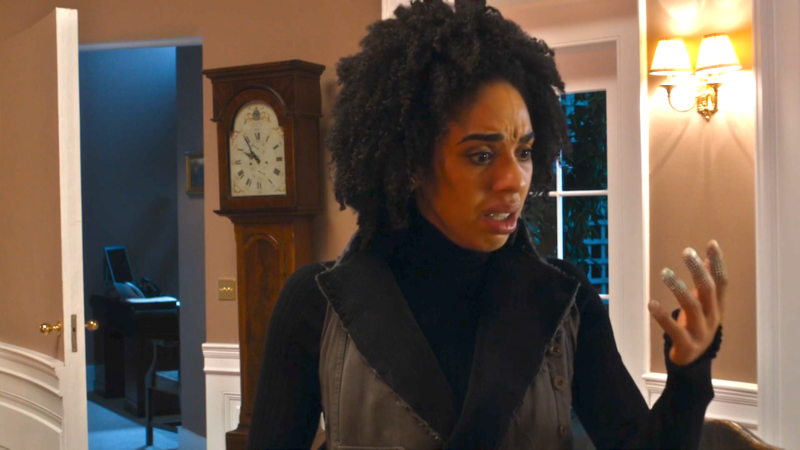 What will the resolution of the River Song story look like, and what will the Doctor’s final confrontation with the enigma of death—his own, and everyone else’s—look like? What will be Moffat’s final statement about the nature of the Doctor—his favorite subject—when his interpretation of the character is at the moment of extremis? Part of me would love to see a mature acceptance of death as part of life, making peace with it as nothing more or less than the next great adventure. I’d like to see this Doctor go to his own “death” calmly, willingly. I’d like to see River Song released from her eternal prison and laid to rest. 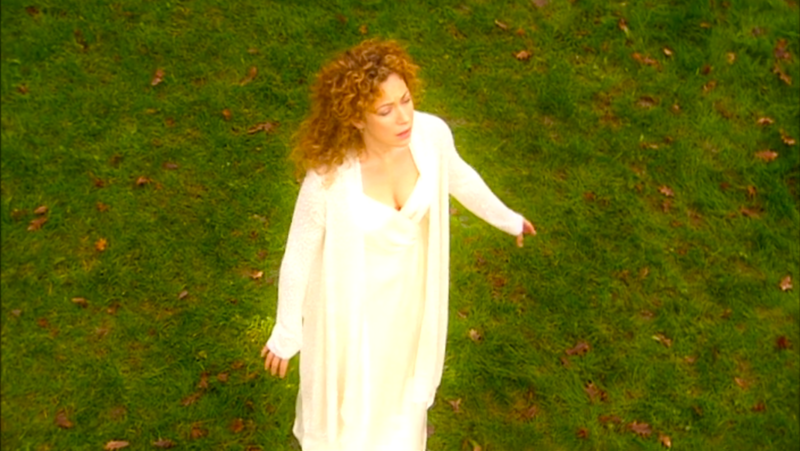 (“There is a time to live and a time to sleep,” the Doctor told her in “The Name of the Doctor.” “You are an echo, River. Like Clara. Like all of us, in the end. My fault, I know, but you should’ve faded by now.”) For that matter, I’d ideally like to see Clara stop running and decide to return to her own inevitable rendezvous with death. If Doctor Who is a simulation, an elaborate test to instruct us how to deal with the challenges of life, I’d love to see Moffat end his run by teaching us all how to deal with the reality that life—everything, and every person—ends. But I don’t think that’s what’s going to happen. Death has never been anything but the adversary to Moffat’s Doctor—something to be resisted, no matter what—and perhaps that’s as it should be: never give up, never give in. “Everything ends,” the Doctor told Clara, in “The Time of the Doctor,” when he was all out of regenerations: he seemed then to have accepted his own death, but he never stopped fighting—”Every life I save is a victory”—and he ended up thwarting his own death anyway, starting over with a whole new set of regenerations. (“Never tell me the rules!” he told the Daleks, denying the very laws of mortality.) 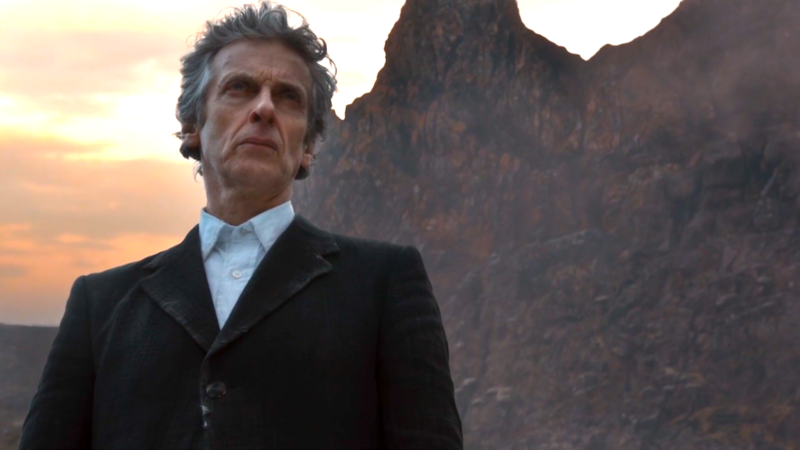 “Everything ends” may be the mature statement, but “Everybody lives” is more in the spirit of Moffat’s Doctor Who. It’s a tricky thing, dealing with endings in a show like this—a show in which the laws of time can be broken, and in which any threat of death for the lead character is just the promise of a new rebirth. Doctor Who, as a whole, doesn’t like endings: no window is ever closed forever, and no story ever really concludes, and Doctors and companions long gone still have new stories in the expanded universe. So it will not surprise me if Clara is left, forever, roaming the universe having adventures. It will not surprise me if we see the Twelfth Doctor join River Song in a virtual afterlife—perhaps one improved by the Monks’ more elaborate program?—where they too can have new adventures together for all eternity. After all, you don’t have to be real to be the Doctor. We’re all just stories in the end, and—in Moffat’s Doctor Who—the story never really ends at all. Apologies for both the lateness of this post, and for its slight squidginess: this one got away from me a bit. (These posts are mostly me thinking out-loud, and sometimes I follow the thoughts down unclear paths and end up in places I wasn’t really intending to go.) Part of the problem—I realized too late—is the difficulty of discussing themes that have been introduced but not really resolved yet: it’s a little hard to come to any conclusions. So, take this somewhat rambling post as thoughts and speculation, rather than any attempt at interpretation. I’m sure I’ll have more to say about all of this in a few short weeks, after Moffat has written his last word on Doctor Who.